I'm going to keep posting lake pictures until I'm actually at the lake. Strike that last sentence. 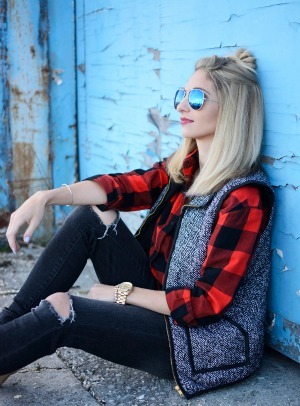 Once I'm at the lake my Instagram and blog posts will be smothered with lake goodness! That's just the way the cookie crumbles. I'm not sure what it's like where you are today, but it is dumping the snow right now and has been all throughout the night. There are a few inches sitting on my porch right now. I am containing myself from writing all the words my mom used to wash my mouth out with soap for saying. $*%&. With all anger aside, the exciting news is that it's obviously Spring, as we all whooped and cheered for last week, and I am praying that this is the last sign of white I see for a longggg time. In just a short week we will be playing foolish jokes on one another and acting ignorant and childish because society says we can. Doesn't that sound like fun? Have I lost you? April Fools day y'all! Not only is that day glorious because it means we are just that much closer to Spring, Easter and all things sunshine and summer. But it also holds that fabulous day known as my BIRTHDAY!!! Woooohoo!! Even though there is no milestone this year to celebrate... (twenty errrr something)... I am just excited to have had another year shaking my groove thing! So much so that I'm contemplating making it a birthday month, celebrating all month long. Suggestions? What's also exciting about April 1st, is that it's a new month. If you've been here for any length of time in 2014, you know that means a new monthly focus. And this time I want you to join me! It was my New Year's resolution to focus on something different each month that I wanted to get better at since my attention span is too short to narrow it down to one or two things for the entire year of 2014. ›› January ›› Meditating on His word. ›› March ›› Being Intentional. ›› April ›› ??? Find out in a week! Join me in a week on Tuesday, April 1st. Write a post sharing what your monthly focus is going to be for the whole month. Grab the button below, which will also be on my sidebar, and put her in your post. Come back here to link-up your post and mingle with others who join! Find support in other women! 19 comments on "Be There Or Be Square." I cannot wait til it's lake time! It's supposed to snow here today too, boo! Fingers crossed it's the last time this year! Ha, I love the eat more Mexican food idea! Can't wait for when warm weather is here to stay! Yay for birthdays and sunshine! Great link up idea :) Yay for your birthday! Love this! I will for sure be joining in! 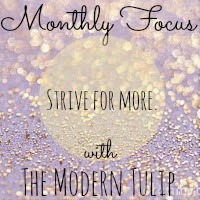 I love the idea of a monthly focus. I am pretty diligent in making monthly goals, and I love the shorter term mindset as opposed to year long goals.....it's helpful for me, who also has a short attention span! Thanks for sharing- and for real, no more snow! We got new snow overnight too. It's time for this winter thing to end! Looking forward to seeing what your next monthly focus will be! I was at the river for Valentine's Day and our next trip isn't until June... I'm dying!!!! Is that a dock in the water? It's beautiful!!!! I'm so ready for Summer but it's raining here today! ICK! I have an April birthday too!! The 26 to be exact:) Can't wait to celebrate! I'll be here :) Thanks for the great idea! Great idea! Today is one of those days I also wish I was at the lake...in the summer. lol. I think you should definitely do a birthday month! And I love the idea of posting pictures of the lake til you're there. So for me, it's the end of June... haha You'll be so sick of water by that time! Good dey to you all , my name is moore kathleen j i want to share a brief testimony on how Great Dr Sambo helped me re-unite my long gone relationship . I thought I have lost it all until I saw a post abort this great spell caster called Dr Sambo , I contacted him and told him about my story “few years ago , my husband and I were deeply in love I thought life was that easy , because I was with the man of my dream , until his secretary took him from me , he stopped loving me ,we separated because of the incidence , I couldn’t take it anymore , I count live with him know he has someone else out there , but I still loved him . until few week back I contacted Great Dr Sambo who helped me bring back my long gone husband , he apologyzed to me and each day that passes he love me more . if you are out there , because I know a lot of people are experiencing difficulties in their marriage or any form of relationship , just contact Dr Sambo and he will definatily help you as he has done for me here are his details . Friday, You've Never Looked So Perfect! Lilly Pulitzer Summer Box Giveaway! 6 Minutes To Spare? Vlog!